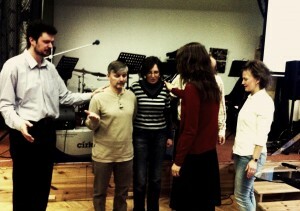 We received blessings from our church leaders. It is wonderful to be part of this great family. Irena lives in the city Liberec close to Prague (Czech Republic). She knowns CfaN for about 10 years. They always have been deeply touched by the great number of people whom CfaN serves, and by the crystal clear message which is being delivered every time the gospel is preached.